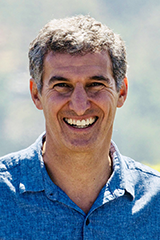 Seth Goldman co-founded Honest® Tea in 1998 with Professor Barry Nalebuff of the Yale School of Management. In March 2011, Honest Tea was acquired by The Coca-Cola Company, helping to further the reach and impact of Honest Tea’s mission by becoming the first organic and Fair Trade brand in the world's largest beverage distribution system. Today, Honest Tea is the nation’s top selling ready-to-drink organic bottled tea and Honest Kids® is the nation’s top-selling organic kids’ juice drink. The brands are carried in more than 130,000 outlets in the United States, including all Wendy’s, Chik-fil-A, and SUBWAY restaurants. In 2016 Honest Tea’s distribution expanded to Europe. In 2016, Seth transitioned to a new role at Honest Tea as TeaEO Emeritus and Innovation Catalyst for Coca-Cola’s Venturing & Emerging Brands business unit. This transition allows him to take on an additional role as Executive Chairman of Beyond Meat, a privately held California-based enterprise on the cutting edge of plant-based protein research and development. In 2015 Seth was named the #1 Disruptor by Beverage World, and Beverage Executive of the Year by Beverage Industry magazine; he was also inducted into the Washington DC Business Hall of Fame. Seth has also been recognized by the United States Healthful Food Council with a REAL Food Innovator Award for helping change the food landscape by providing options that are healthier for both the body and the planet. Seth serves on the advisory boards of Ripple Foods, the Yale School of Management, the American Beverage Association, and Bethesda Green (a local sustainability non-profit he co-founded). He graduated from Harvard College (1987) and the Yale School of Management (1995), and is a Henry Crown Fellow of the Aspen Institute. Seth and Barry are the authors, along with graphic artist Soongyun Choi, of The New York Times bestseller Mission in a Bottle. The book, told in comic book form, captures their efforts to create a mission-driven business in a profit-driven world. Seth lives with his wife and three sons near Honest Tea’s Bethesda, MD headquarters in an eco-friendly house.